Errol Morris's brilliant new documentary, "The Fog of War: Eleven Lessons from the Life of Robert McNamara," is a design achievement of high order. Morris has long been obsessed by the question of how ordinary people can do evil things. In Robert McNamara, he has his ideal subject. Harvard Business School professor, WWII efficiency expert, head of Ford Motor Company, McNamara was tapped by John F. Kennedy to serve as his Secretary of Defense. Serving under Kennedy and then Lyndon Johnson, he supervised the escalation of America's involvement in southeast Asia, or, as it was often called then, "Mr. McNamara's War." The recurring—make that relentless—motif in "The Fog of War" is McNamara's attempt to reconcile the messy, bloody loss of human life with the sterile world of the accountant's ledger. Morris's film combines his contemporary interviews with McNamara with a remarkable collection of archival footage, and, finally, pictures of documents in extreme closeup. The interviews with McNamara feel more like merciless interrogations. The archival footage includes images you'd expect (bombers in flight, McNamara in press conferences) with images that are revelations (the long, slow motion footage of Kennedy at a desk before a speech, seemingly unaware of the camera, that serves as the visual counterpoint to McNamara's account of learning of his assassination). But, fittingly, it's the documents that steal the show. Time after time, McNamara describes the data that led him to make his decisions. And over and over, Morris fills the screen with words, diagrams and—especially—numbers. Not since Reid Miles designed for Blue Note has so much Courier been blown up to such seductive effect. Newpapers, magazines, textbooks. military reports, maps, every kind of information is enlarged to the point of abstraction—which to McNamara it all seems to be. At one point, McNamara describes with admiration the statistical techniques used by his first commander, General Curtis LeMay. Others used to count missions flown or bombs dropped, he says. But LeMay was the only one he knew that measured success by the number of targets destroyed. It's typical of McNamara that he is more impressed by the method of tabulation than by the act itself. And no wonder: some of those numbers represented the women and children killed during the Allied firebombing of Tokyo and other Japanese cities, a campaign that McNamara concedes would have gotten them convicted as war criminals had the Allies lost. McNamara takes pains to separate the statistics from the carnage. Morris does the opposite. In the film's most audacious visual invention, after alternating shot after shot of 60-year-old spreadsheets with ruined Japanese cities, he slams the two together with an image of airplanes dropping actual numbers onto their targets. It sounds corny. It is corny. That it works to such devastating effect is a tribute to Errol Morris. He is our most poetic information designer. Great web site by The Chopping Block as well. Note to editors: you should set links posted in comments to open in a new window, when you're popping up comments into a fixed window size. Thanks. I just saw the film last night and it's true--the film uses fragments of documents combined with archival footage to create incredibly powerful sequences. Then why is it that the typography--the opening credits (set in a horizontally-scaled Verdana), the intertitles (in stretched Times Roman) and the subtitles (in the ever-hackneyed Courier, with a hideous drop shadow)--is so horrible? From a graphic designer's standpoint, the film was slightly embarassing, since clearly the editor, d.p. and copystand photographer had much more respect for design than whoever made the typography did. Meanwhile, have you seen the poster? Don't get me started. Scott, you're absolutely right. The sense of design within the film is perfect; all the framing elements are terrible. It happens so often -- especially with movies that have intertitles and subtitles, almost never matched to the main titles -- that I've often just assumed that there is some complicated protocol that prevents even well-intentioned filmmakers to get it right. Sad to think it's just old-fashioned carelessness. And thank God for Morris - documentary would be stuck in much of the state it continues to be without him as a guiding light for up and coming filmmakers. As you may have heard, the U.S. State Department has abandoned Courier as their official document typeface in favor of Times Roman. Tom Vanderbilt makes the Errol Morris connection in his piece in Slate here. 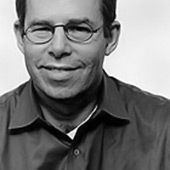 Michael Bierut studied graphic design at the University of Cincinnati, and has been a partner in the New York office of Pentagram since 1990. Michael is a Senior Critic in Graphic Design at the Yale School of Art. Valla Vakili is head of Citi Ventures Studio, an incubator for financial services. Archie Lee Coates IV is a founder of multidisciplinary creative studio Playlab, Inc., and executive director of Friends of +POOL. Kerby Jean Raymond is the founder and CEO of the fashion label Pyer Moss. Reneé Seward teaches communication design at the University of Cincinnati and is the founder of See Word Reading. Chester Jenkins is a partner in Constellation, which creates new typefaces, and Village, a coop that publishes them.